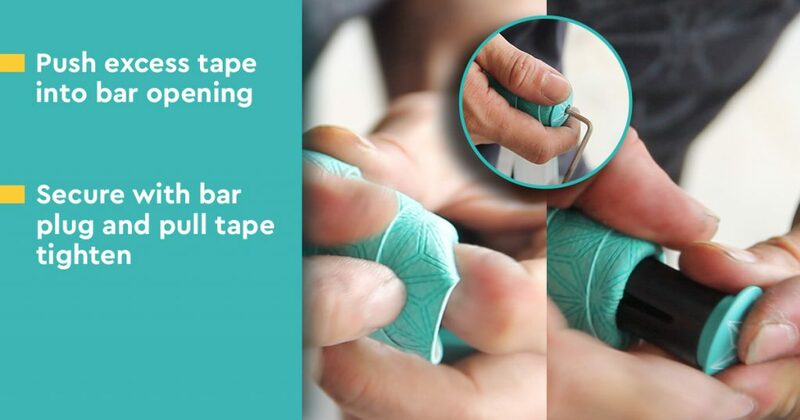 Here’s a step-by-step guide on how to wrap handlebar tape on your road bike. 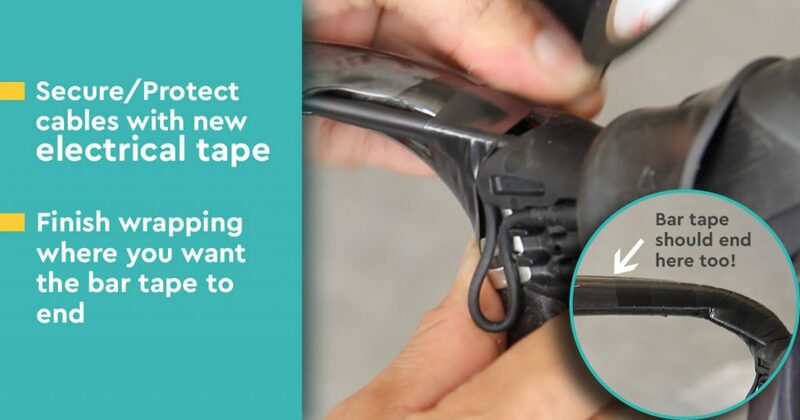 When your old handlebar tape is being removed, this is probably the best time to make any adjustments to your cables or wires. 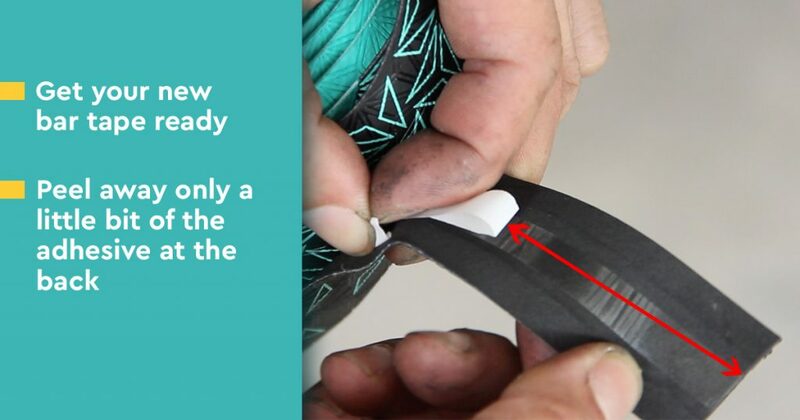 An important tip for Di2 users here: Notice that the wire has a little hook here. 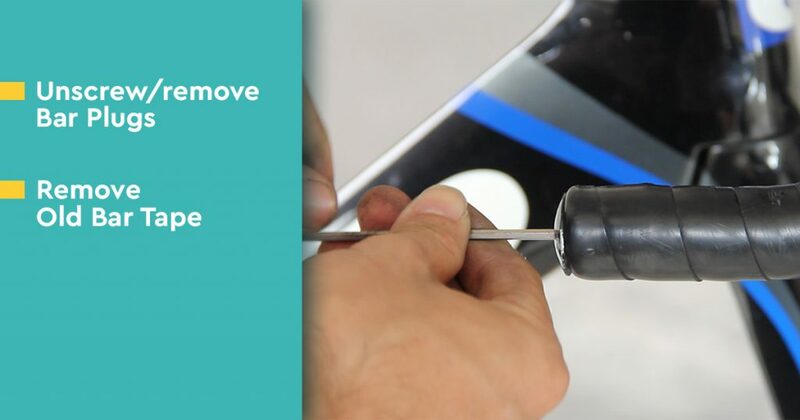 Instead of making the wire taut, it is good to give it some slack in case of a hard impact or crash, and your di2 will not be affected. You wouldn’t want to be riding home on a fixed gear. 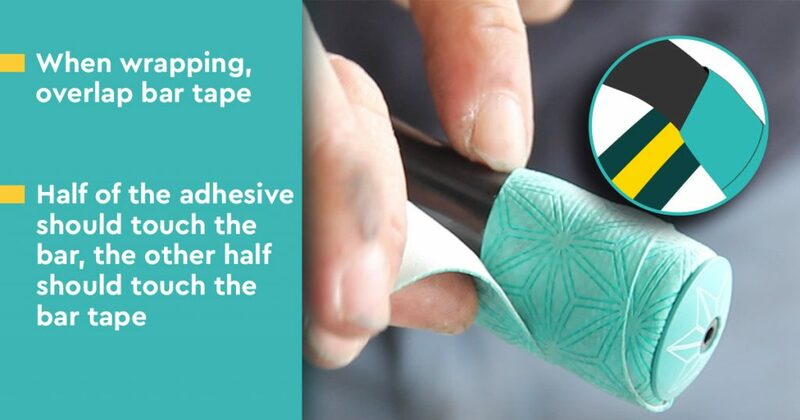 Peel away the adhesive bit by bit, do not peel it completely. 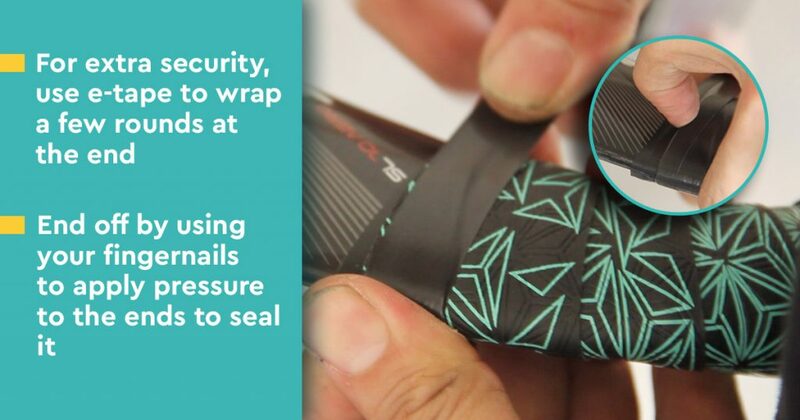 The most common way of wrapping the handlebar tape around the hoods is using the figure of 8 method. 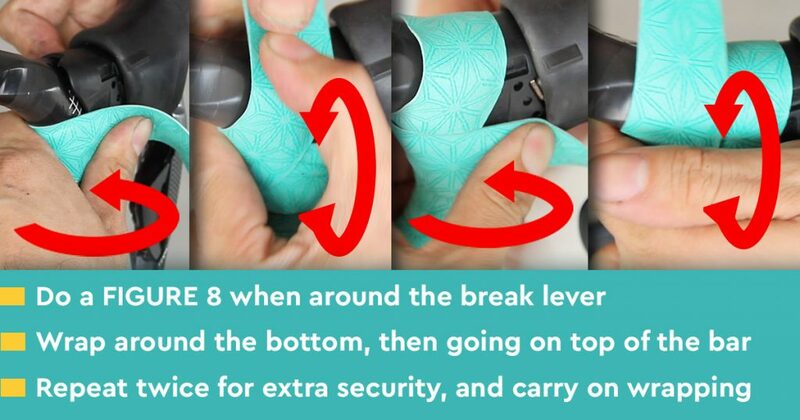 It is not as complicated as it sounds. 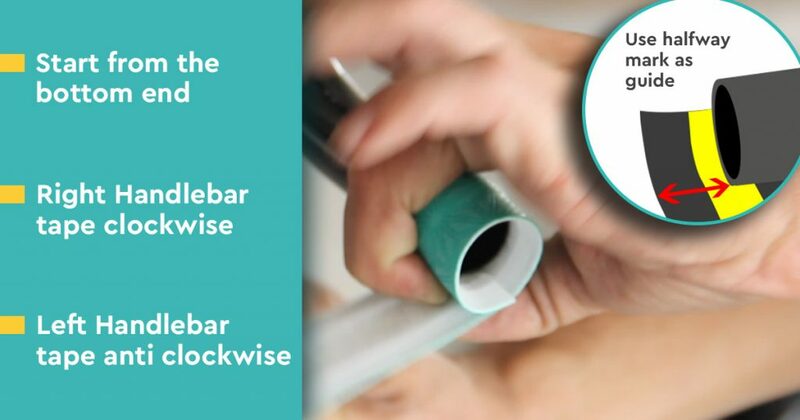 Where should you end your tape? This is up to your preference. 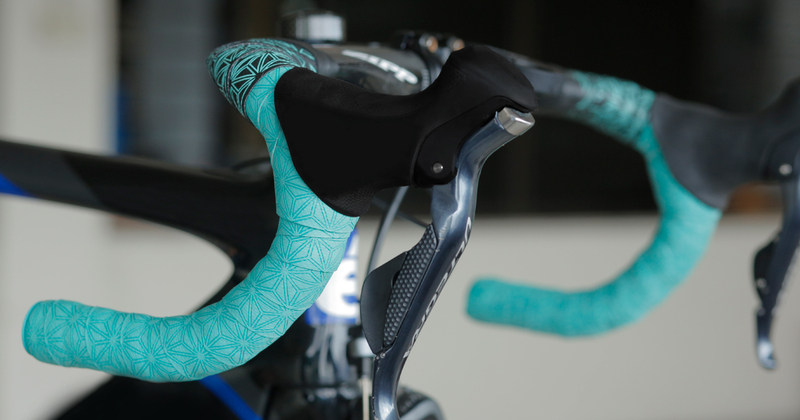 You might want to wrap till the halfway mark on the top of the handlebar if you are planning to install clip-on aero bars for triathlon purposes. 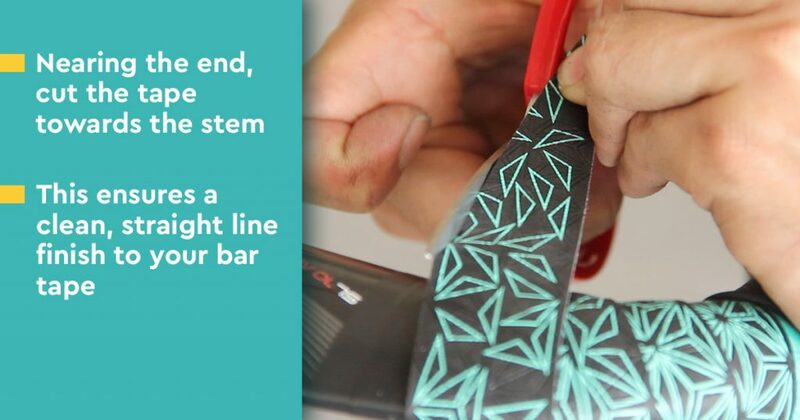 But if you tend to rest your hands on the flats, then wrap more loops on the handlebar.